The consulting firm IMGE has hired Mindy Finn as a senior adviser. Finn’s background is in digital strategy and she is the brains behind the non-profit website, the Empowered Women project . Finn will work on client strategy and business development at IMGE, according to the firm. 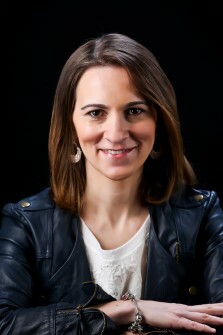 She has also co-founded the digital agency, Engage, and founded the media company, Misschief Media. She was the digital director of former Massachusetts Gov. Mitt Romney’s 2007 presidential campaign and worked on former President George W. Bush’s 2004 campaign. Also in her time in Washington, Finn has advised Twitter and Google on how to build political partnerships. Between 2011 and 2013, she was Twitter’s Washington head of strategic partnerships . Between 2014 and 2015, she was senior digital adviser to the Republican National Committee and the National Republican Senatorial Committee. Finn was named one of Washingtonian magazine’s “100 Tech Titans ” in 2011 for her efforts to merge government and politics with modern technology.